Brick stitch is one of the basic bead-weaving techniques. As with the other major techniques, it is flexible. 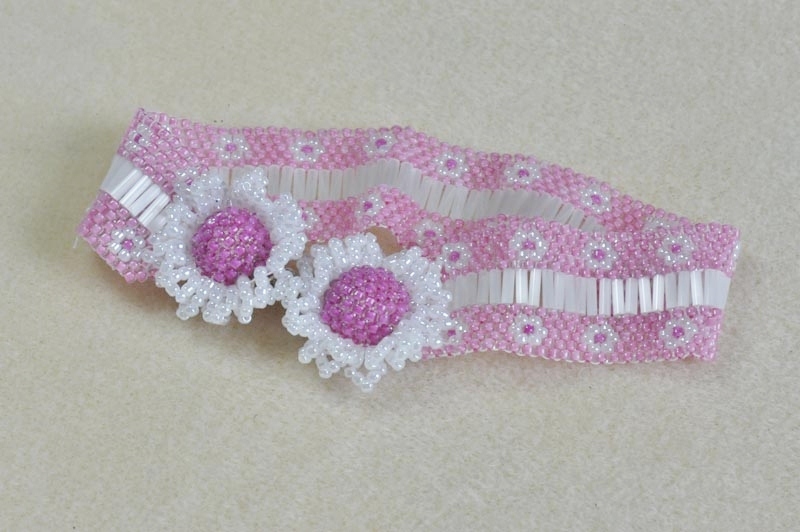 It can be woven in flat strips to make bracelets. 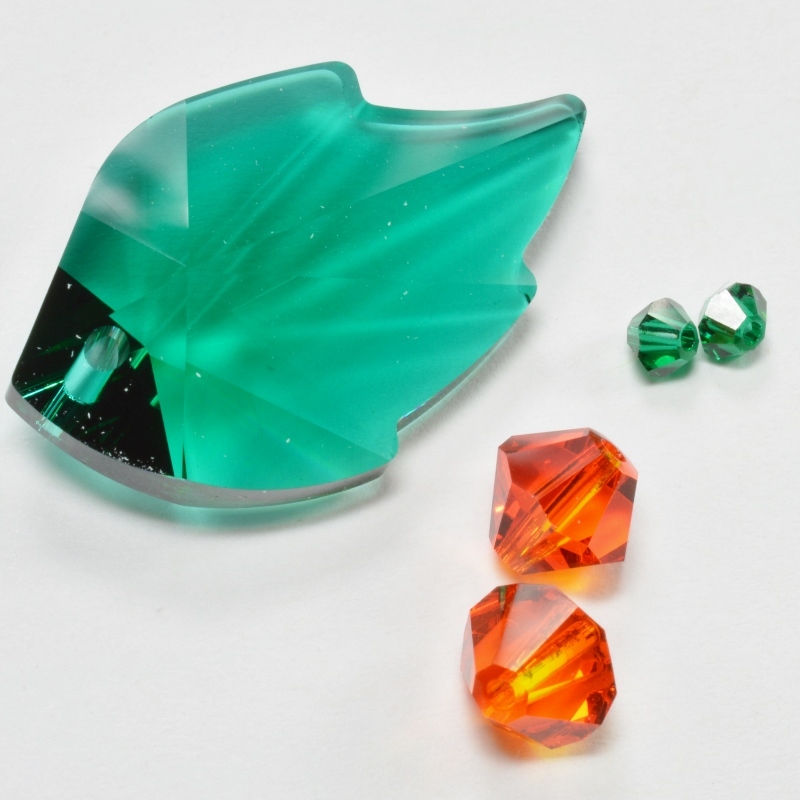 Or, you can also shape the flat pieces to create components for jewellery. Try weaving brick stitch into tubes. 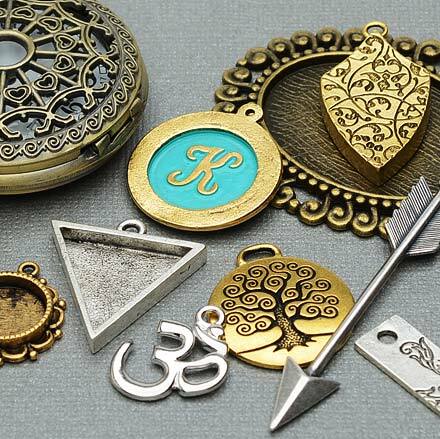 Then these can be shaped to create beaded beads or other three dimensional objects. So, keep reading and I’ll take you through some ideas and include patterns that you can try. This is a stitch that I learned very early in my beading career and it is one that I still love for its flexibility and regular shape. Brick stitch takes its name from the formation of the beads. It is constructed in straight rows, built one on top of the other. The beads in the second row will be offset from the beads in the first row. So, the finished result looks just like a brick wall. Thus, the stitch is constructed by picking up a bead, hooking under the exposed thread from the row below and then passing back up through the bead. In its diagram form it looks like the photo shown below. So you can see how the thread path works. Brick stitch actually looks exactly like peyote stitch turned on its side. This is handy to know for a couple of reasons. Firstly, if you are creating a flat piece of beadwork and trying to follow a pattern, it can be much easier to follow it in brick stitch rather than peyote stitch. Look at the two photos below: they show a graph of the same pattern. But viewed from one angle, it is a peyote stitch pattern. Turn it ninety degrees and it becomes a brick stitch pattern. Many people struggle to read a peyote stitch pattern because of the ‘up’ bead ‘down’ bead structure. This means that reading each row is like trying to read every other bead. So, you are just following the beads that stick up. that gets very confusing. In the brick stitch version, the rows are simply horizontal strips of beads. So, it is much easier to read. If you have learned both peyote stitch and brick stitch, then you have the flexibility to work in the way that you find easiest. The connection between the two techniques is important for another reason. 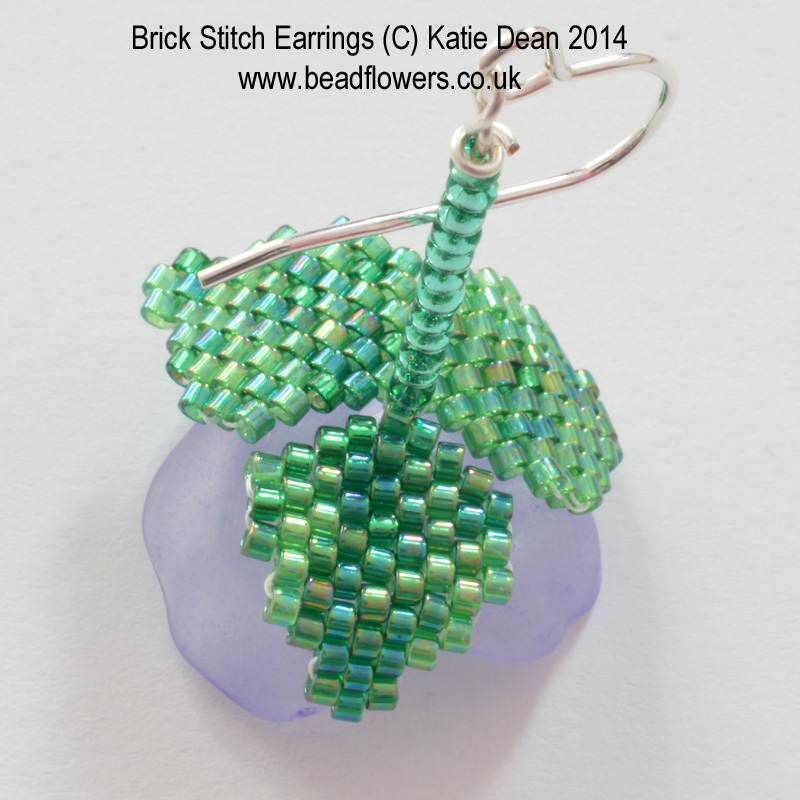 It is incredibly easy to switch between peyote stitch and brick stitch within the same piece of flat beadwork. So, if you stitch a strip of even count peyote stitch, you can then turn it on its side and work rows of brick stitch off the straight edge. This is a cunning technique for avoiding the slightly tricky ‘odd count turnaround’ in peyote stitch. Just use the easy ‘even count’ method. Then, turn your work on its side and add an additional row using brick stitch. If you want some practise in this, then my beaded pen patterns are a great way to try the technique. Brick stitch can also be worked in tubes. Basically you will create your first row as you would for a flat piece of work. Then join the two ends together to form a circle. From this point, the rows are added upwards, working around the tube. 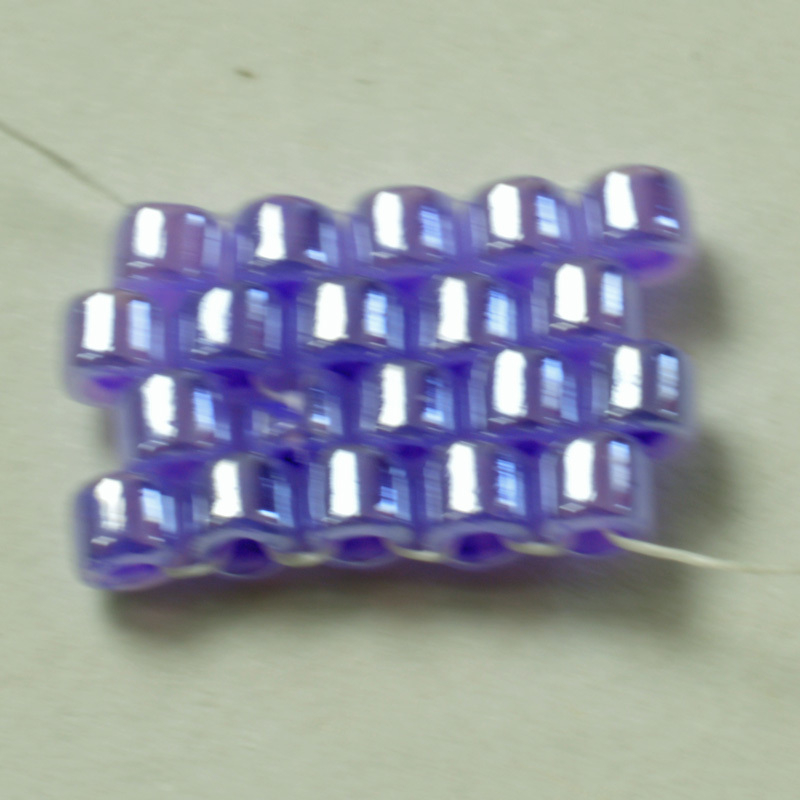 This technique makes simple beaded beads. Both flat brick stitch and tubular brick stitch can be shaped. So, I have written a free guide to starting out with flat brick stitch and following patterns to create basic flat shapes. You can find this guide here. You can also shape the stitch by increasing and decreasing within rows. If you take a flat strip of brick stitch and increase in the rows, you will create a curve. This can be used for making circles or other interesting shapes. If you increase in tubular brick stitch, you will create a bowl-like structure. I used this technique to create the cupcakes that featured in my ‘Sweet Treats’ book. 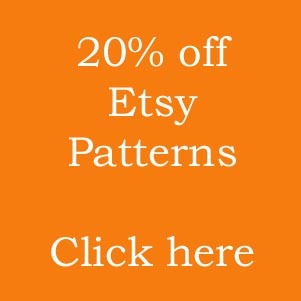 In addition, this pattern will also show you how to join tubular brick stitch with tubular Peyote stitch. Clue: it’s not as hard as you might think! Brick stitch can also be worked in stacks. 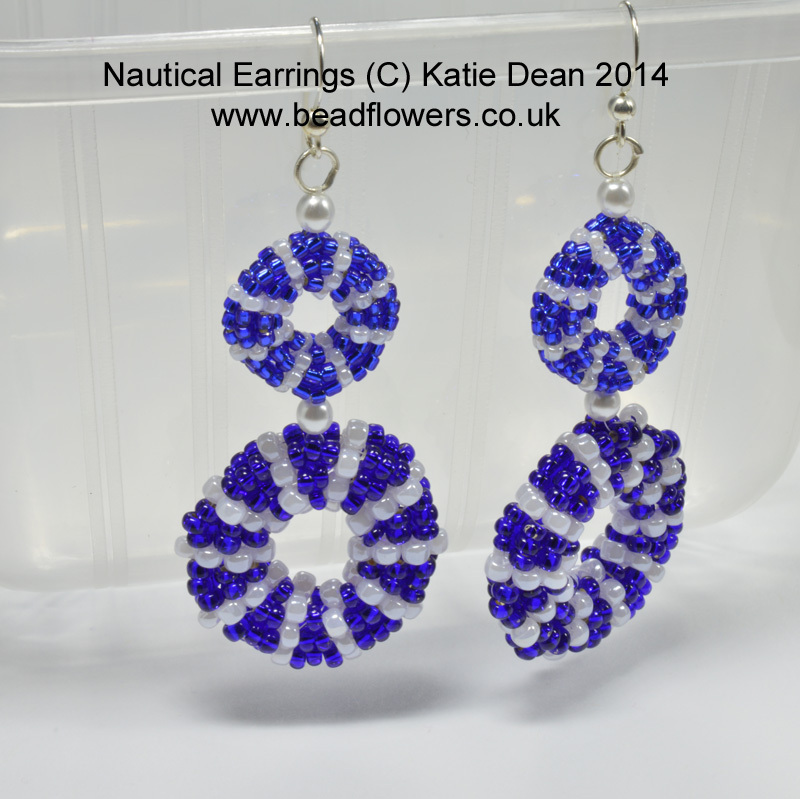 So, this makes your beadwork grow a little faster! The only downside is that the regular brickwork look becomes distorted. The idea is very simple. 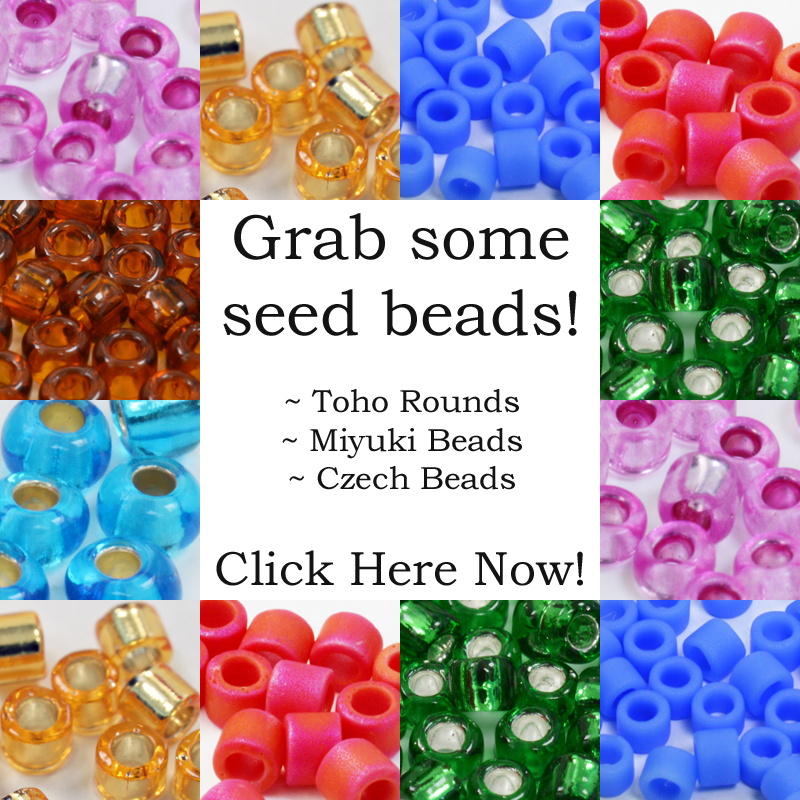 Instead of adding a row that is just one bead high, you pick up two or three bead stacks that you treat as a single bead. So, you will pick up your stack, hook under the exposed thread from the previous row and then pass back up through all the beads in the stack. In theory there is no limit to the number of beads you can use in a stack. However, in practice, this technique loosens your work as there is nothing anchoring the central area of the stacks. So, you may get away with a three-bead stack, but more than that is likely to cause problems…or possibly some interesting effects! 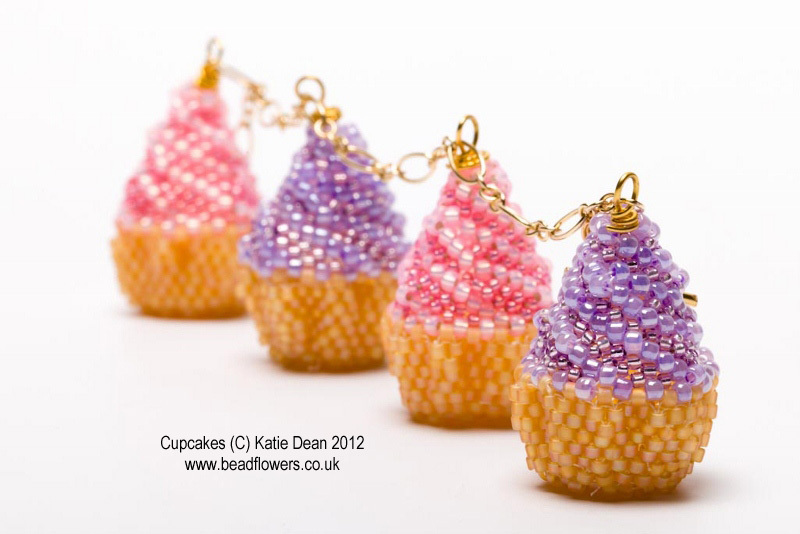 I found that incorporating stacked brick stitch into a tube can create donut shapes. I used this technique to create these earrings. In effect I was making beaded beads and joining them to create the design. You can find the pattern here. Lastly, as with most bead-weaving stitches, you can use a variety of different beads to work in this technique and achieve different effects. So, my tila beads, although the thread path is a little more complicated! So, now it’s time to go away and play! 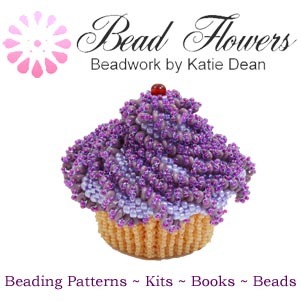 You can find even more brick stitch patterns on my Bead Flowers website, or search the internet for other great designs. If you have a graph for a particular pattern (using the brick stitch), where do you start (which row of the graph)? Do you start with the longest row in the pattern? This is an angel wing, so there are different row lengths. Hi Bambi, there isn’t a ‘right’ and ‘wrong’ answer to that question. Personally, I would probably start with the longest row and shape it from there, as you suggest. But if you are comfortable doing both increasing and decreasing, you can start anywhere. If your pattern has little bits that stick out (hope that makes sense), then I would add those last. So, start with the main body of the design and add any tiny shaped edge bits at the end.